It is funny watching people panicking about last week market decline. 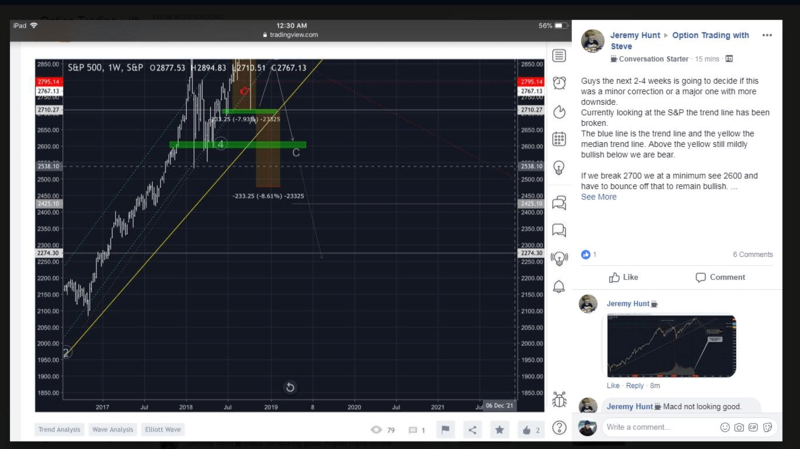 Many panic and predict bear market. Many are guessing what happens next. Some are drawing their charts drawing lines of the next decline and claiming historicity of their claim. Claiming historical evidence and predicting the drop all the way down to 2275 indicates more a lack of studying the history than knowing history. Bear markets really do not start in a week or 2 days of a sharp drop. Drops are usually smaller not so violent and they are preceded by other warning signs. This market dropped suddenly and violently. Even the “we know all” media were baffled and guessing what may have caused such drop. Although FED is raising rates, they are still historically low. In December 2007 interest rates were almost 5%, today, the rates are at 2.5%. Corporate profits are raising with no sign of slowing. And investors’ optimism? They are spooked by any flow of a breeze out there. The amount of bearishness is outstanding. 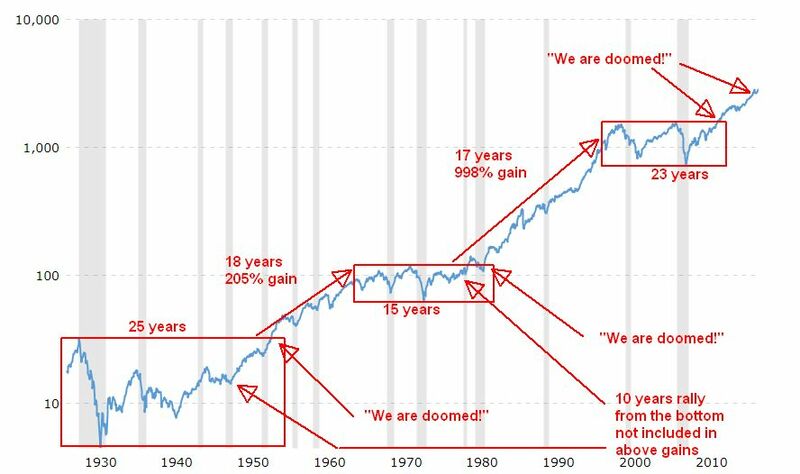 Many people are still sitting aside in cash, spooked by never ending predictions of bear market coming “tomorrow”. According to AAII 63% of regular investors are neutral to bearish. Only about 35% are bullish. Add to it fear of valuation, trade war, political comments of the President, FED intervention, and fear of slow down in China, Italy, Greece, Egypt and others. The markets do not turn bear upon fears. Corrections? Yes, they do. Fundamentally, this bear market is not showing signs of being rolling over. Technically, this market is not showing any signs of a rollover either. 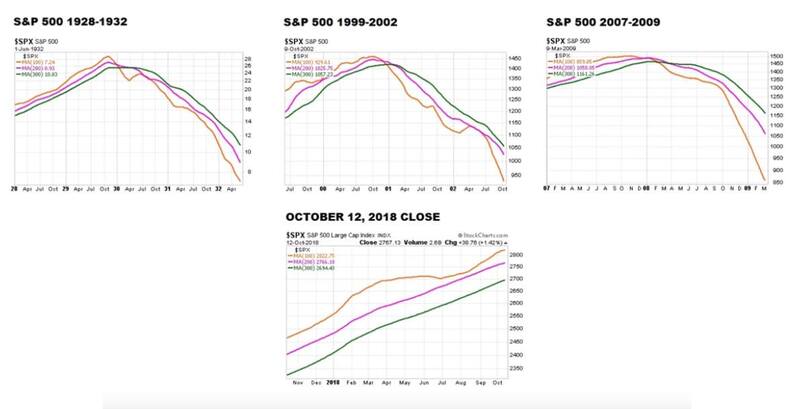 Look at the following charts with simple moving averages from 1930, 2000, and 2007, in comparison with 2018. Do they look same or similar? If you think that they are same then yes, the bear market is coming! But you may also need to visit an optometrist. Some spooked investors claimed that we cannot compare long term trends with short term time frames. But the long term time frames determine the short term. Corrections are healthy and needed for the stock market to go higher. There is no need to panic. However, there is a need to watch the market because although fundamental and technical reasons for this bullish market hasn’t changed it may change any day. and it will change for sure. But be assured that you will be able to react to the change. The rollover of the market is a process and it takes days and months before you see the market making bearish moves. Last week’s movement wasn’t it, yet.